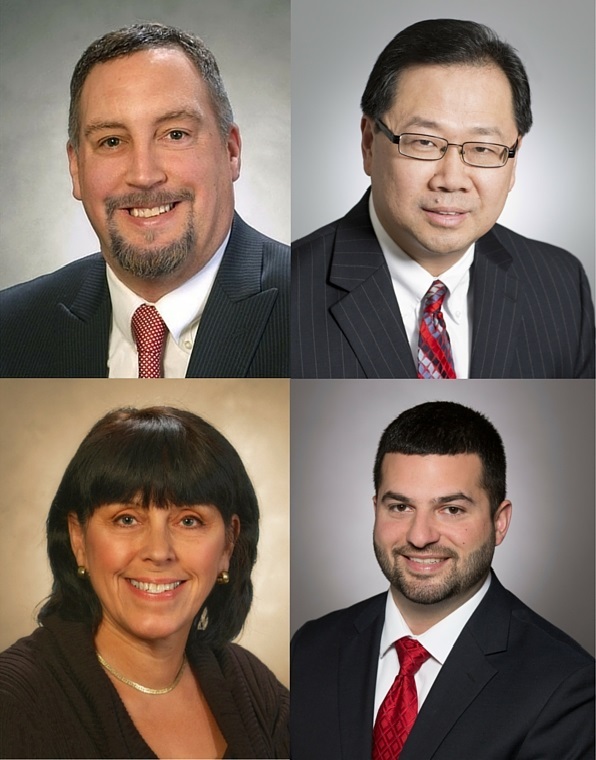 North Adams, MA – Robert Fraser, President and Chief Executive Officer of MountainOne Bank, has announced promotions for employees Rick Bromberg, Michael Pang, Kim Anderson and Brandon Cannata. In his new role, Bromberg oversees all Technology and Information Security initiatives. He joined MountainOne in 2011, and has over 16 years of experience supporting technology in the Banking and Financial Services industry. Pang is responsible for leading his team in support of commercial loan growth through credit administration oversight and assistance. He also oversees the credit reporting process to senior management and the board of directors, and is responsible for overall asset quality. Pang organizes the bank’s Credit Committee and participates on the Risk Management and Compliance Committees. He lives in Plymouth with his wife and their two children. Anderson, who joined MountainOne Bank in 2005, has served in many capacities over the years in various loan and compliance positions. As Vice President, Loan Compliance Officer, Anderson provides compliance expertise to lending areas, monitors changes in lending compliance laws and regulations, and monitors and provides guidance to the CRA (Community Reinvestment Act) department. Anderson is an active member of the Eastern Massachusetts Compliance Network and the Western Massachusetts Compliance Association. She also participates in MountainOne Bank’s Loan Compliance, CRA, and Risk Management Committees. Anderson lives in Adams with her husband. Cannata, who joined MountainOne in 2014, is responsible for analyzing and reviewing existing business commercial loan relationships in order to maintain a strong loan portfolio. He keeps the Commercial Lending team apprised of relevant changes in the current commercial lending portfolio. Cannata holds a Bachelor of Science degree in Business Administration, with a major in Finance and minor in Economics, from the University of Massachusetts in Dartmouth. He placed first in his Analyzing Financial Statements class offered by the Center for Financial Training to analysts and commercial loan officers across New England. Cannata lives in West Bridgewater with his wife, Marybeth.